The population of northern Bulgaria is decreasing seven times faster compared to the population in the southern parts of the country, according to Petar Ivanov, Professor in Social Psychology. Ivanov and a group of demographics experts discussed Sunday the problem of regional inequality in Bulgaria. The experts, as cited by Darik radio, argued that Bulgaria had to tackle the issue of high concentration of investments and resources in certain regions at the expense of others, adding that it was among the preconditions for the fast rate of depopulation in the country. Ivanov, as cited by Darik radio, presented worrying statistics indicating that Bulgaria topped the global ranking by rate of population extinction. "The population of northern Bulgaria, which does not include Sofia, is decreasing seven times faster than the population of southern Bulgaria, the southwestern region, where Sofia belongs. According to statistics, Bulgaria's population declines at a rate of 164 people a day, or 60 000 people a year," he stated. The experts listed several ways to overcome the problem, among which the equal distribution of EU funds. 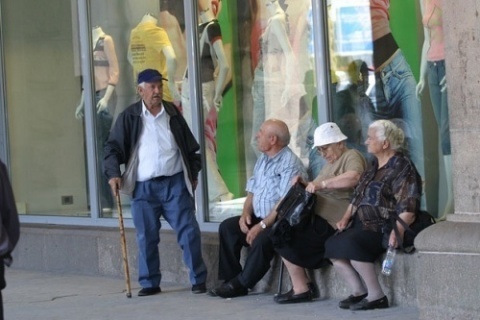 According to Bulgaria's National Demographic Strategy, as cited by private TV station bTV, the country will have a population of slightly more than 5 million in 2060, with 60% of them aged 65+. Bulgaria's latest census in 2011 showed that the country had a population of slightly over 7 280 000. Bulgaria's population declines at a rate of around 0.5% a year, meaning that a decrease by 2 million is to be expected in 50 years. The demographic collapse is the result of not so much the high immigration rate but the combination of a high death rate and a low birth rate. Bulgaria has one of the highest median age levels in Europe, 42 years and 8 months, with 19% of the population being senior citizens aged 65+. Bulgaria's four biggest cities are home to 1/3 of its population and the number living in rural areas has plummeted to an unprecedented low of 2 million. In 2012, a total of 24 settlements were erased from Bulgaria's map, and 172 were on the verge of extinction because they had been completely depopulated. In 2012, the number of women at fertile ages fell by 26 000 compared to 2011 and by 280 000 compared to 2001.